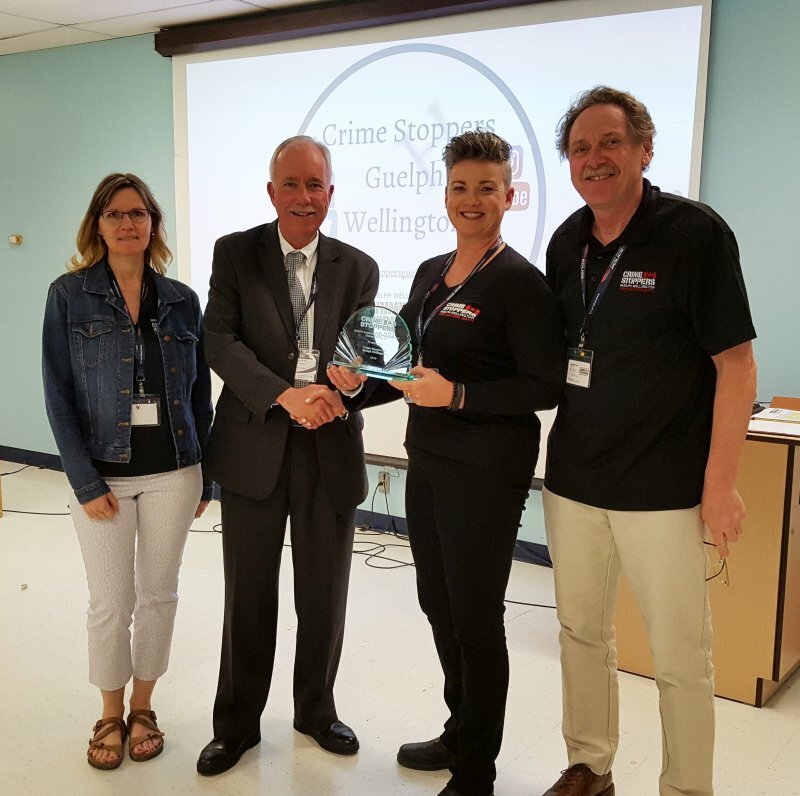 Recently Crime Stoppers Guelph-Wellington won the online excellence award for their online presence. Our very own Kevin Johnson, co-founder of Puslinch Today, helped to design and program the website that was part of this recognition. ONLINE EXCELLENCE – Don Hawkins (centre) President of the Ontario Association of Crime Stoppers, presents the Online Excellence Award to, from left, Crime Stoppers Guelph Wellington Office Coordinator Leesa Keleher, Program Coordinator Sarah Bowers-Peter, and Board Treasurer John Svensson. 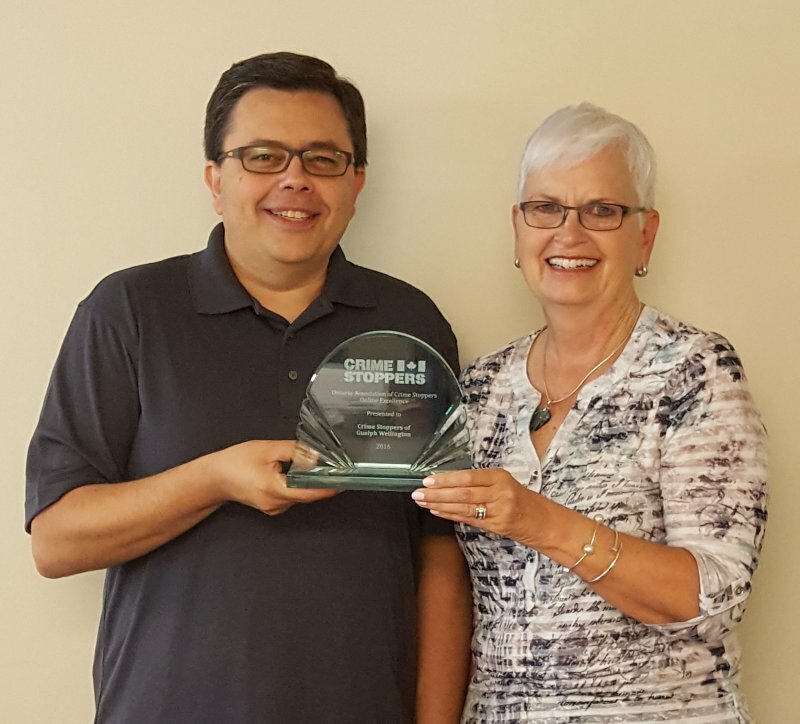 Kevin Johnson with Marlene Coughlin of Crime Stoppers holding the award for Online Excellence. We’d like to congratulate Crime Stoppers Guelph-Wellington and Kevin Johnson on this well deserved award.